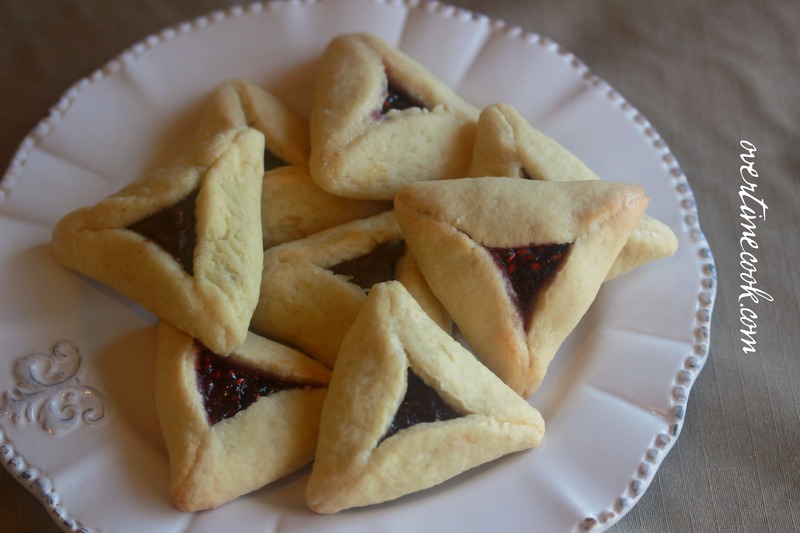 With Purim coming up, Jewish cooks from all over are scrambling to be creative in their Purim treats. 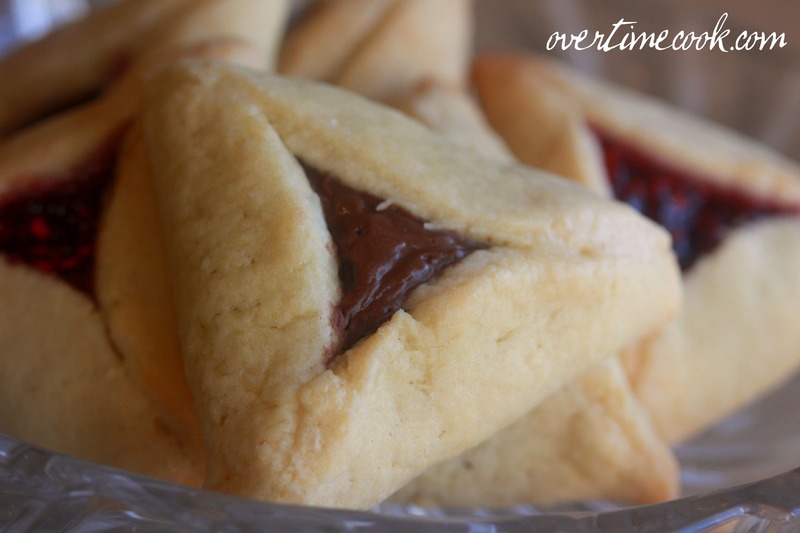 There have been numerous twists on Hamantashen posted on other blogs. I myself created two great twists on the traditional Hamantash for Ami Magazine, as well as adorable Hamantashen cake pops for Joy of Kosher. But…let’s not completely forget the original! If you have always been one of those people who admire hamantashen, but can’t get your homemade version to look right, you’re in luck. The Humble Hamantashen Fairy (that would be me) is here to provide you with the tips and tricks you need to make your hamantashen look like they came from a bakery. Scroll down for the recipe, then check out my tips and step by step pictures on my guest post on Cook Kosher. In the bowl of an electric mixer fitted with a paddle attachment, stir together the flour, salt, baking powder and sugar. Add the egg yolks, vanilla, margarine and orange juice. Mix until it forms a smooth dough. On a well-floured surface, roll the dough out. Make sure it isn’t too thin (details on my guest post). Using a circle cookie cutter, or the rim of a glass (about 2 inches in diameter) cut circles out of the dough. Place about 3/4 teaspoon of your choice of filling in the center of each circle. Do not overfill. Bring two arcs of circle up to meet in the center. Raise the third side of the circle to meet the first two arcs. Pinch together all of the seams where the dough meets. Using your finger, rub a bit of egg white into the seam. 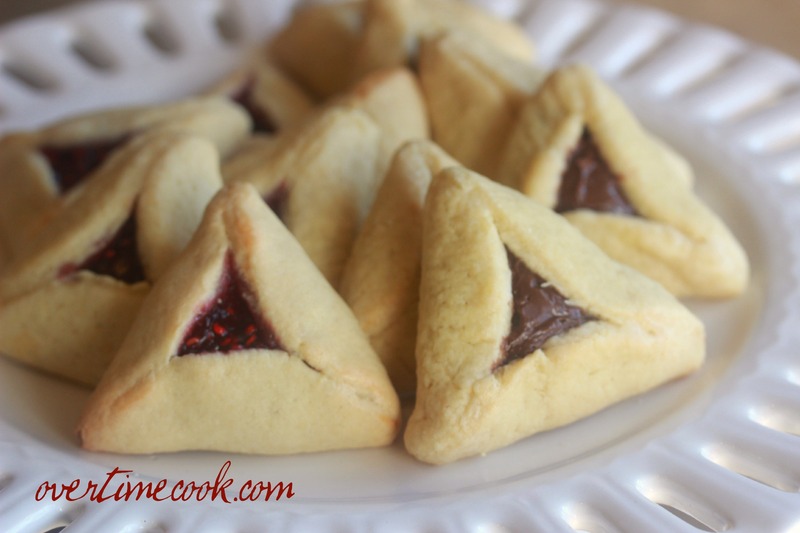 Place the shaped hamantashen on a parchment lined cookie sheet, and bake at 350 for 15-18 minutes. Don’t forget to read through my tips before baking these to ensure they come out perfect! Oh wow, thank you! What a compliment! I’ve never had these before but they are very pretty! These look delicious! Do they result in soft cookies or are they hard? 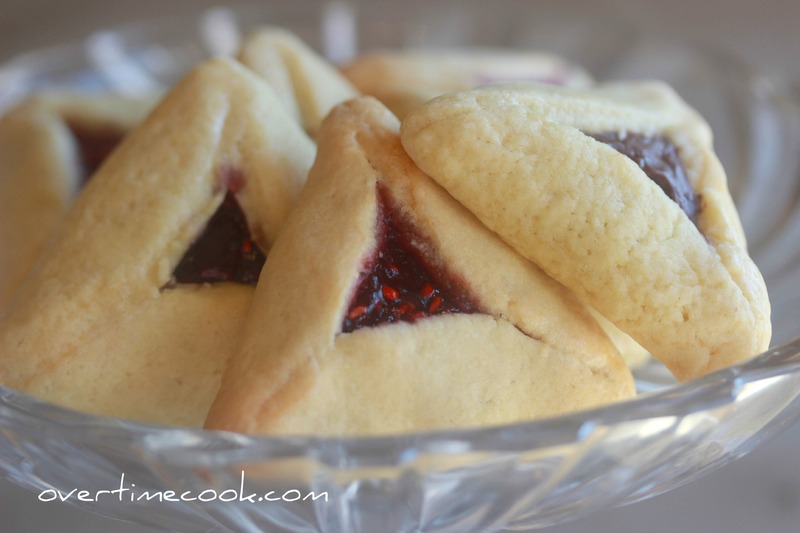 I’m looking for a hamentaschen recipe with a soft cookie. They are quite soft- in fact, many of my tasters were quite surprised when tasting them, because most Hamantashen are hard. They look perfect! I always use my mother-in-law’s recipe but I may try this one. I am going to try to make these sometime. I love that they are filled with different ingredients and I love their shape. Thank you for sharing your recipe, I’m glad that it results in a soft cookie. Thank you Paula! 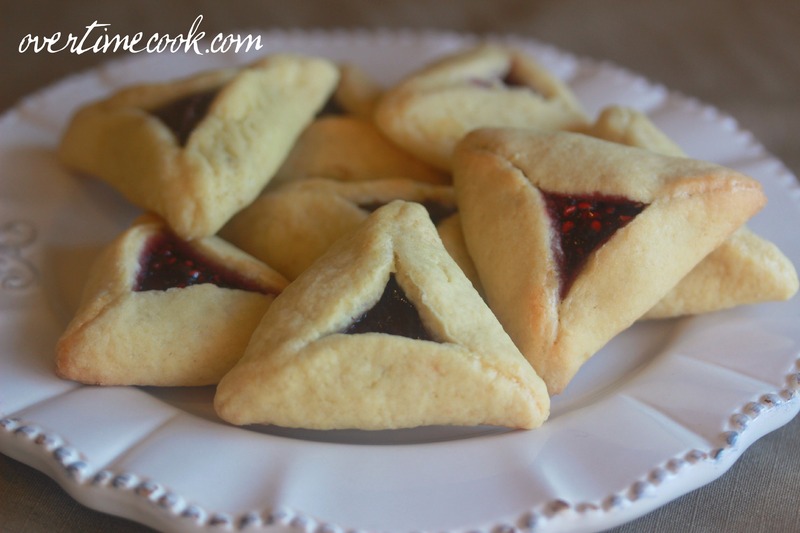 If you’ve never tried Hamantashen you really need to- they’re so delicious! These look yummy, I will have to try them! how thin do you roll out the dough? 1/4 inch? Hi Esti – that’s about right. How in advance can I make the dough? I’d like to prepare it a few hrs before so my daughter can shape them is that ok? Can you use oil instead of margarine? Like avocado or coconut? Thanks! I haven’t tried it with oil, so I can’t say for sure. how long does it take to do this recipe and how many pieces come out? The dough is very dry.what did I do wrong?